From Wikipedia, the free encyclopedia Anthony Donald Field AM (born 8 May 1963 in Kellyville, New South Wales) is an Australian musician and actor. He is best known as a member of the children's group The Wiggles and the 1980s and 90s band The Cockroaches with his brothers, Paul and John and another future Wiggle, Jeff Fatt. Field was the youngest of seven children, and grew up in the suburbs of Sydney. He came from a long line of musicians, especially the women in his family. His great-great aunt was "Queenie Paul", known for performing at the Tivoli theatre in Sydney, and his grandmother Kathleen accompanied silent movies in the mining town of Cobar. Field's mother Marie made sure that all of her seven children learned how to play at least one musical instrument. In 1979, while still in secondary school (St. Joseph's College, Hunters Hill, a prestigious boarding school), he and his brothers formed the pop group The Cockroaches. He took a short break from music to serve in the 5th/7th Battalion, Royal Australian Regiment, Australia's regular army from 1982 to 1985, as an infantry soldier, medic, and rifleman. He played the bagpipes in parades and on training missions. When The Cockroaches disbanded in the early 90s, Field enrolled in Macquarie University to study Early Childhood Education. 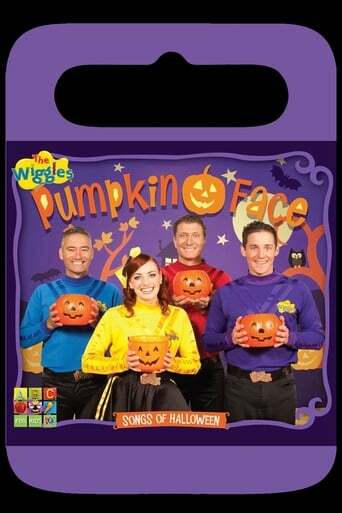 There he met the other members of The Wiggles, guitarist Murray Cook, vocalist Greg Page, and pianist Phillip Wilcher. He recruited former bandmember Jeff Fatt to record their first CD in 1991. Field worked as a preschool teacher for two years before the success of The Wiggles forced him to quit. Field originally wore a green shirt during their concerts, but after a short time switched to blue because green became associated with the Wiggles character Dorothy the Dinosaur, a character Murray Cook created and originally performed. Field created and played the original Captain Feathersword; the role was taken over by Paul Paddick in 1993. He plays several instruments, including the tin whistle, bagpipes, guitar, drums, trumpet, violin, and didgeridoo. Field's schtick is eating. In spite of being named as "Bachelor of the Year" in Cleo Magazine, Field married Michaela Patisteas, a former dancer, in 2003. They have three children, who have joined the Field family tradition of involvement in The Wiggles by appearing in several of their TV shows and videos. In April 2007, Field cut short his US tour by ten days to return home for the birth of his youngest child; his fellow bandmembers appeared on the U.S. version of Deal or No Deal without him. Beginning in 2007, Field did some voiceover work for the TV show "RSPCA Animal Rescue," for Channel 7 in Australia. Field is a registered breeder of miniature fox terriers. He is a fan of the Australian rugby league club the Wests Tigers, as well as of singer Julio Iglesias. Field went public about his experience with clinical depression in mid 2007 to draw more attention to the condition. He has stated that "being on the road is a dangerous job for someone with depression," but has dealt with it through diet, exercise, talking about it, and having a good support system (including his wife, and his friend Murray Cook). Field is a devout Catholic. He wears two large tattoos on his arms, under his blue skivvy: one is the Virgin Mary with the words "My life is in your hands" in Spanish; the other is a heart with the words, "My love, my heart" in Spanish. The names of his wife and his three children are also tattooed on his arms. Field was made a Member of the Order of Australia on 26 January 2010 for service to the arts, particularly children's entertainment, and to the community as a benefactor and supporter of a range of charities. Description above from the Wikipedia article Anthony Field,licensed under CC-BY-SA, full list of contributors on Wikipedia.